One of the very first Indian dishes I ever tried were samosas and their corresponding chutneys- one sweet sauce made with tamarind and the other with cilantro. 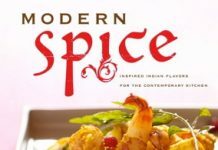 Often times when you visit an Indian restaurant, it’s one of the appetizers; it’s also a common trio to be served within the Indo-Pakistani community at Iftar time, or at the breaking of the fast during Ramadan, just before the main meal is served. To me, it’s always a reminder that Ramadan is here and I absolutely love the crunch of the samosas with the pungency and freshness of the cilantro chutney the most. And, fortunately for us, it’s not hard to make at home. 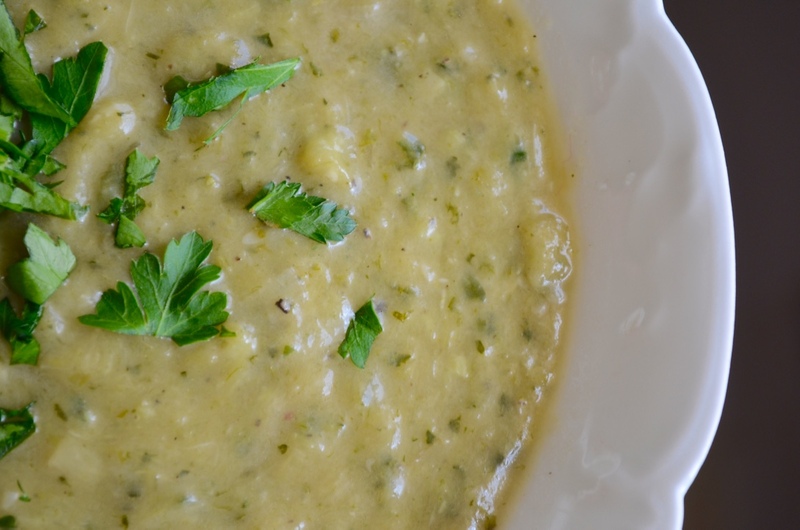 All you need are a few simple ingredients and a blender or food processor: fresh cilantro, lemons, jalapeños, garlic, salt and sugar- to add just a little sweetness. I take the very bottom of the stems off the cilantro, but otherwise leave the stems intact- they’re totally edible and don’t make anything bitter like some other herb stems might. 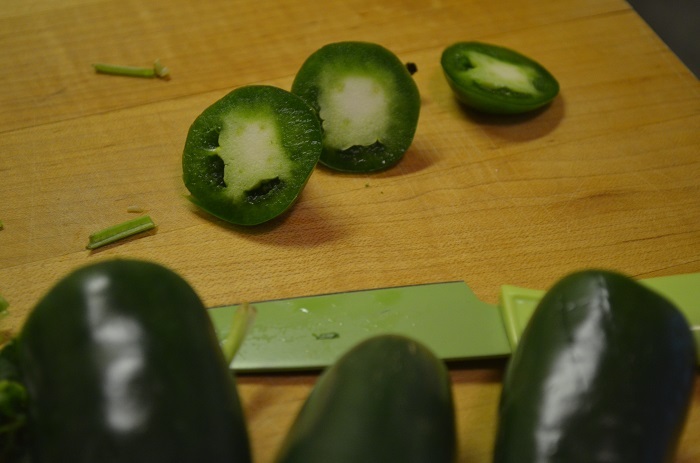 I also cut the tops off the jalapeño before proceeding to remove the seeds. 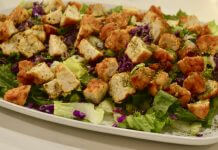 Some people like to keep the seeds in, which makes the dish considerably ‘hotter’ (spicier). If you like that, skip the next step. Next I wash everything really well. My favorite thing to do is to spray white vinegar on everything before rinsing in cool water- it serves as a natural anti-bacterial agent. 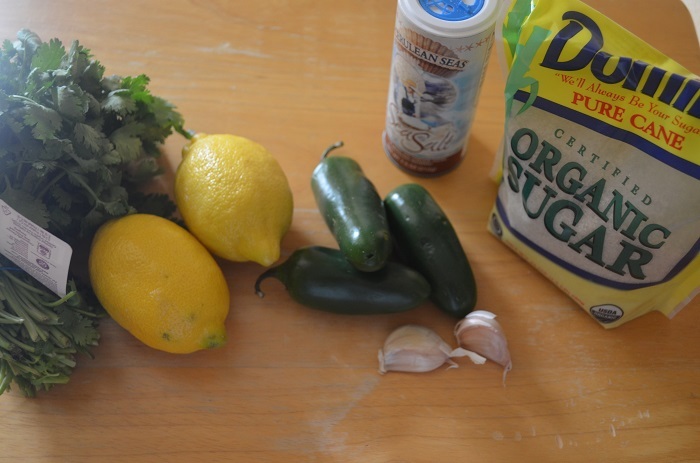 The lemons should be cut in half and squeezed over the top of the ingredients before processing. If you like it a little less tangy, try one lemon first, then if you want more, add the juice of the second one. I prefer the juice of two lemons, personally. And that’s it- once it’s blended, you’re done. You can refrigerate until serving but I would bring it to room temperature before doing that. It’s not going to go over well to have nice hot samosas with cold chutney, in my opinion. Here’s the really delicious part- you don’t need to slave over a hot oven during this hot summer Ramadan. 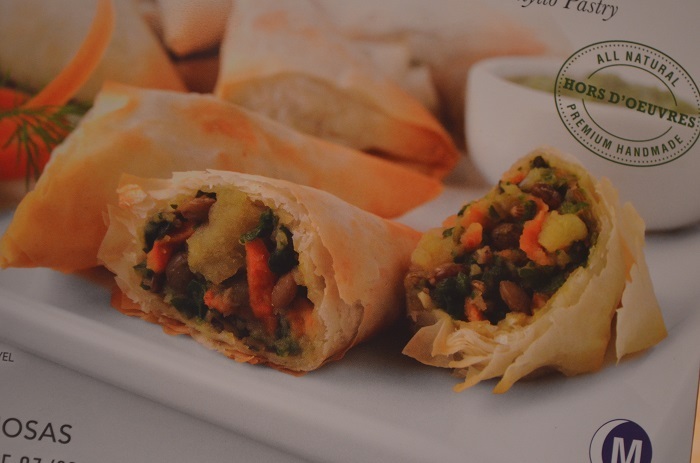 Get the Saffron Road’s Vegetable Samosas instead. They’re super easy to make. Just pop them into the oven for about 22 minutes then you can shut it off and cool your kitchen back down again. 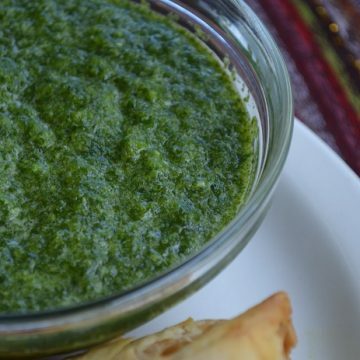 You’ve already made a homemade chutney to go with it, so if you’re in that mid-Ramadan cooking slump, this is the perfect way to make a semi-homemade appetizer for your family or for an Iftar party. And, they’re really good. 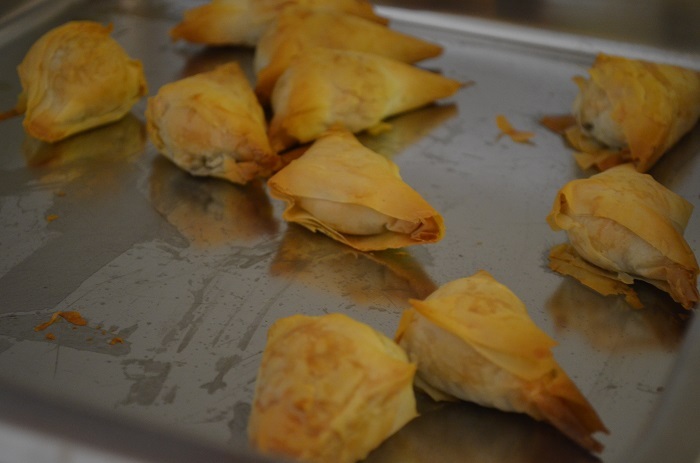 The phyllo is soft and buttery, so there’s no skimping on quality ingredients here. That’s important to me, because if I want something convenient, I don’t want to sacrifice taste or the quality of the product, which to me translates to what is healthiest for myself and my family. My Halal Kitchen is proud to be a Brand Ambassador for Saffron Road Foods. 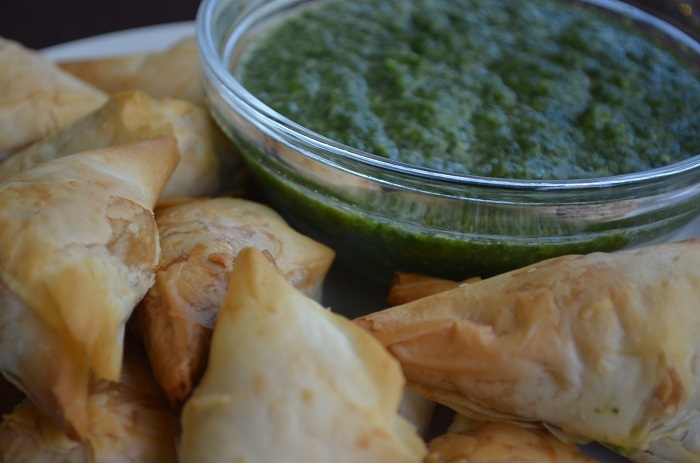 This recipe provides a simple, quick and fresh way to serve up your samosas for an Iftar gathering, dinner appetizer, or a healthy snack. 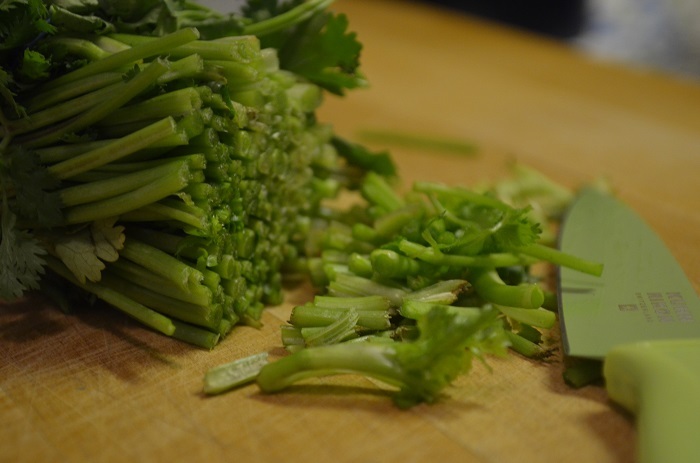 Remove the very bottoms of the cilantro leaves by chopping them off, leaving most of the stems intact. 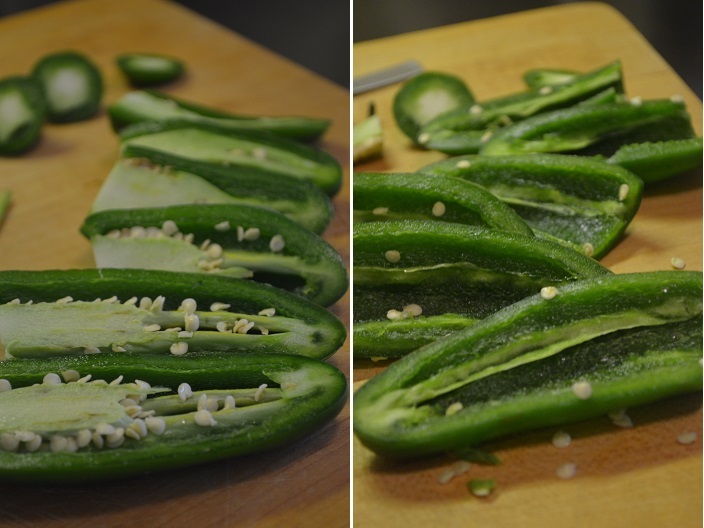 Remove the tops of the jalapeño peppers. Cut each one in half vertically and scoop out the seeds, too. Wash all the fresh ingredients and dry them very well. 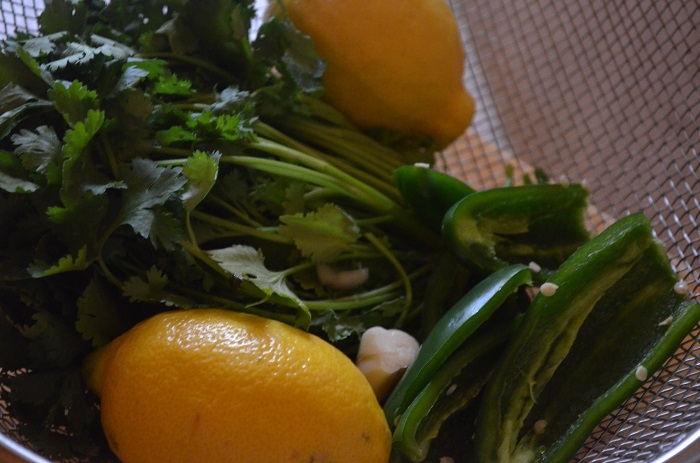 To a blender, add the cilantro stems and leaves, the jalapeño peppers, the garlic cloves, sugar and salt. Squeeze the lemon juice over the top. 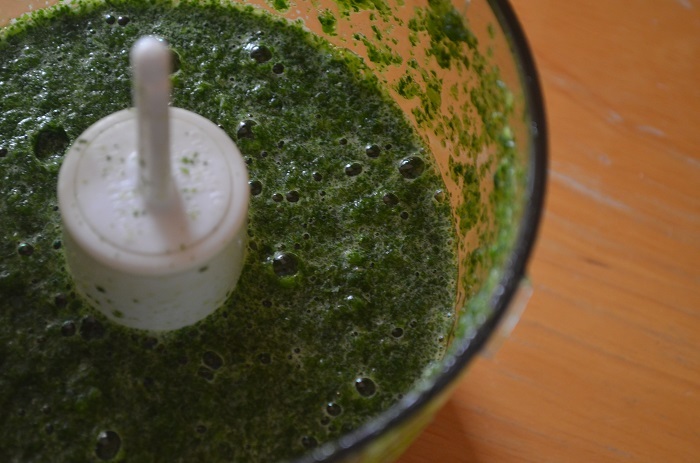 Blend all the ingredients together using a powerful blender or food processor for at least 30 seconds or until the cilantro has been fully integrated. 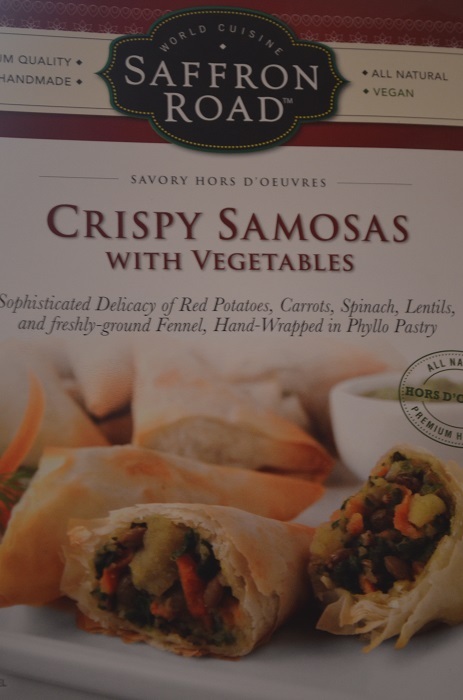 Serve at room temperature with samosas or other crunchy appetizers. The samosas look great too, what I think the best thing about them is no frying! I LOVE this chutney, thanks for the recipe! 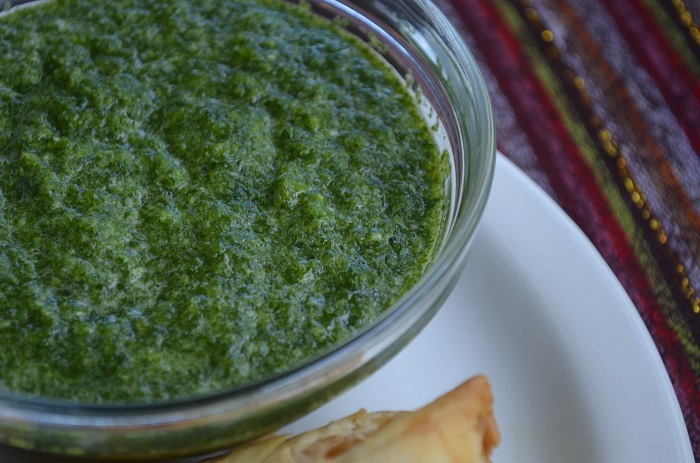 I love cilantro chutney but hadn’t thought about how to make it home made. 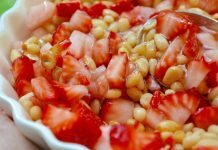 Love this recipe – can’t wait to try it.